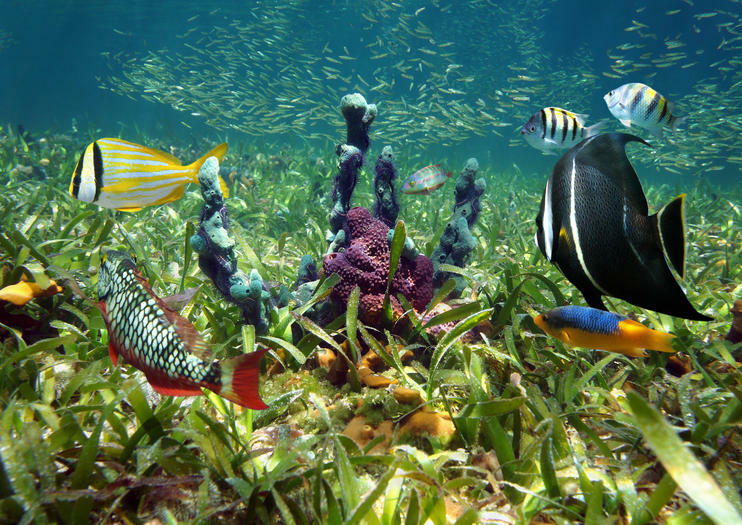 When visiting the Florida Keys it is hard to miss the Florida Keys National Marine Sanctuary as most of the water surrounding the Florida Keys is part of the sanctuary. Covering 2,900 square nautical miles, the Florida Keys National Marine Sanctuary protects the incredible underwater world of the Florida Keys, where reefs and animals flourish. During a visit to the Florida Keys National Marine Sanctuary, you have a few different options for how to experience this protected area of nature. The sanctuary is home to the world’s third largest barrier reef and is an excellent spot for scuba diving or snorkeling. There are even a series of shipwrecks you can explore as a diver called Shipwreck Trail. If you’d rather stay above water, you can rent a boat to explore the sanctuary and possibly do some fishing. When boating it is important to use mooring buoys for your anchor as they won’t damage the reef. In addition, boaters should pay attention to the commands of other buoys in the sanctuary as they are strategically placed to protect the environment. To learn more about the history and conservation efforts of the Florida Keys National Marine Sanctuary, a visit to the Florida Keys Eco-Discovery Center is a must. Through interactive exhibits you’ll learn about the land-based and under the sea wildlife and plants of the Florida Keys. There is also a living reef tank, which has an abundance of coral and fish living in it. The Florida Keys National Marine Sanctuary starts just south of Miami and stretches through the Florida Keys to the Dry Tortugas. If visiting the Florida Keys Eco-Discovery Center, head to 35 East Quay Road in Key West; it is open Tuesday through Saturday from 9 a.m. to 4 p.m. and has free admission. Snorkel off the coast of Florida's famous coastline on this charter from Key Largo. Dive in two different coral reefs brimming with wildlife such as tropical fish, sea turtles, rays, and sharks. This tour includes drinking water, fresh fruit, and a cooler box for your personal items. you'll be able to fish the Atlantic side of the Florida Keys and the Gulf side in the same outing if you so desire.